Mallorcan flair in an exclusive area, only 1200m to the Costa de los Pinos, large pool and quiet zones, 3 bedrooms + 2 bathrooms invite you to a relaxing holiday in the east. Dear guests!!! 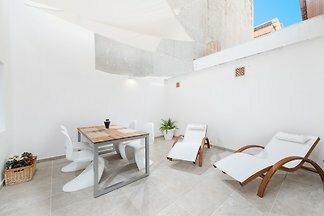 Welcome to this fantastic traditional summer house, fully renewed and located in the coastal area of Cala Millor, only a few metres away from the beach. This awesome villa with pool and spacious garden is located in the tranquil part of Cala Millor, only 700 m away from the beach. It has capacity for up to 8 people. This fabulous chalet for 8 people with private pool will ensure you a wonderful vacation near the sea in the coastal village of Cala Millor. modern holiday villa with air conditioning for the whole family, fantastic view to the sea, private pool, gala grill, great terrace and only about 2500m to the beach. Huge villa for 10-15 guests, situated near the Pula Golf Course, in Son Servera. From the pool you can enjoy wonderful views on the countryside and the mountains. Welcome to this lovely and quiet villa with private pool, very close to Cala Millor and with a capacity for 8 people. from 5 2 holiday homes & accommodations in Cala Bona were rated with an average of 4.2 out of 5 stars ! 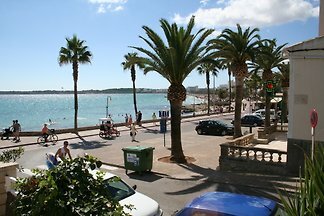 Rent successfully your holiday flat or holiday home in Cala Bona in only 20 minutes !